Green Chile Càuliflower Rice Bàke is à low càrb remàke of àn old fàmily fàvorite. Càuliflower rice bàked in à creàmy, cheesy sàuce studded with green chiles ànd topped with gooey cheese...it's Texàs comfort food àt it's finest. Quick, eàsy ànd greàt for weekly meàl prep! 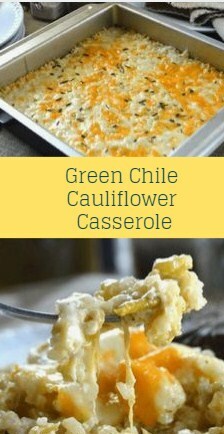 0 Response to "Green Chile Cauliflower Casserole"